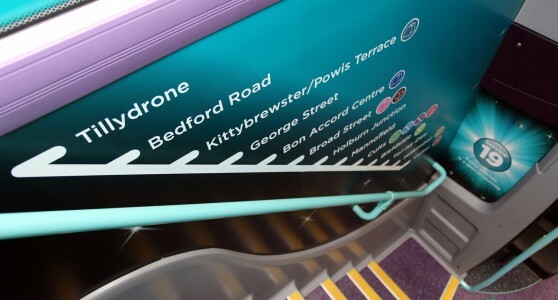 Abyss were commissioned by First to work hand in hand with an in-house project team to deliver a Platinum bus service in the city of Aberdeen. The ethos behind the project was simple. First wanted to create a service that was different, special and that drove a wedge of quality between them and the competition. Becoming partners throughout the project, developing and implementing the Platinum brand, which is all about driving excellence and making every journey a special journey. Communications produced were vast and included internal on bus branding, leaflets, web graphics, external bus adverts, merchandise and a significant range of internal staff communication materials too. Platinum Service 19 was launched in November 2013 and has since gone on to win the Best Bus Service award at the 2014 Scottish Transport Awards. The success of this project doesn’t end there. Abyss once again supported First Aberdeen when they launched a second Platinum service on route 12 in July 2014. 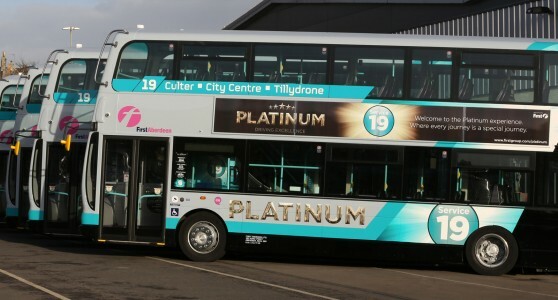 When First Aberdeen began the long journey of developing Platinum, our premium bus service, we commissioned Abyss Marketing as they are commercially focused and worked as an extension of our in-house marketing function, consistently delivering over and above our expectations. 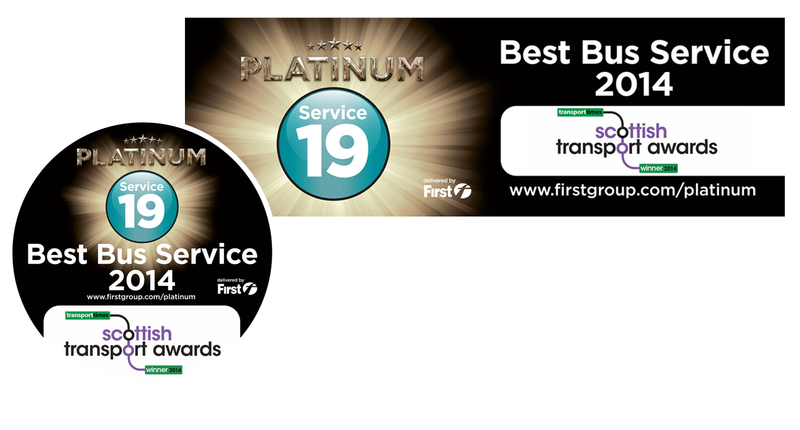 Delivering the Platinum brand you see on the streets of Aberdeen today, and which was recently named “The best bus service in Scotland”. Great success which would not have been possible without the determination, drive, talent and enthusiasm of Abyss.